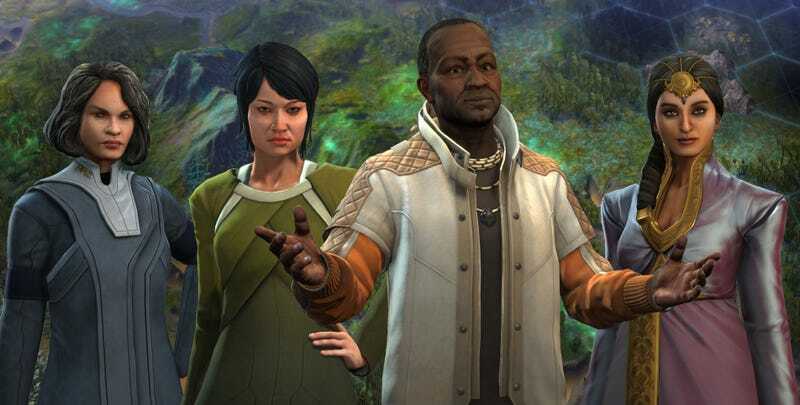 The latest Civ title, Beyond Earth, is pretty good, even if parts of the game are a little more pedestrian than others. Maybe there's a reason for that. Maybe all the game needed was a little more faith. MetagamingAtLast has been poking through the game's files, and found a few mentions of a religion mechanic. Religion and ideology are two of the biggest and most important aspects of a Civilization V game, and while ideologies are in Beyond Earth (renamed as Affinities), there was no room for religion. At least at launch. Maybe these are leftovers from an aspect of the game that was cut, maybe they're placeholders for content coming later down the pipeline. Whichever, they're clearly not leftovers from Civ V's original code, seeing as they make specific mention of Beyond Earth-specific stuff. Interestingly, while some are obviously very sci-fi and "new", others contain words or terms (Eden, Shepherds) that link them to older faiths. While there's also a long list of bonuses and benefits associated with adopting various aspects of them (+1 Faith and Energy to Defense Perimeter, etc).